Gliding is without a doubt one of the most exhilarating forms of aviation. 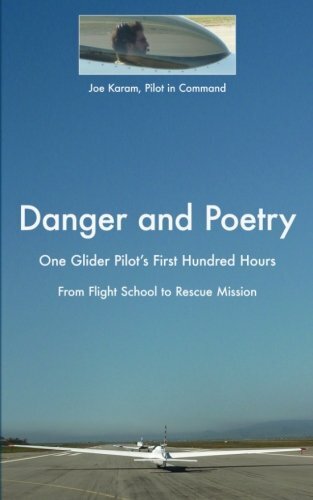 Glider pilots enjoy the purest and most free form of flying, with nothing but the sound of the wind and relying on their skills to extract the necessary energy from nature. It offers a challenge to old and new pilots and can be the best start of a career in aviation. First of all, what is gliding? Gliding is one of the most affordable and rewarding ways to fly. Gliders are like real airplanes, except they don’t have an engine to sustain themselves, well most of them don’t anyway. The words sailplane and glider are often used synonymously, but they do have a somewhat different meaning. Gliders are all airplanes without an engine, they do not necessarily need to maintain altitude or even climb, all they need is a way to get off the ground. Sailplanes are those gliders that are aerodynamically optimized for sustained flight using rising air currents. So, all sailplanes are gliders, but not all gliders are sailplanes. In this guide, we will be focussing on sailplanes, not on hang gliders, paragliders or other types of gliders. When we use the terms sailplanes and gliders, we refer to the definition of a sailplane. Gliders have been around for more than a century, with the very first models being built and flown by aviation pioneers like the Wright Brothers and Otto Lilienthal, who was also the first one to repeatedly make successful flights and use rising air to extend his flights. Recreational gliding as a sport really started to flourish around the 1920s and 1930s, with the first manufacturers like Schweizer in the US and Röhn-Rossitten in Germany. Slowly, the performance of gliders improved with the development and construction of new and better materials, allowing for longer and further flights, making gliding a rewarding and competitive sport. The way a glider is built and looks depends on its build year. The first gliders were made out of wood, metal and fabric. Later, more modern and efficient materials were used to improve aerodynamics and the gliders’ performance. Nowadays, almost every new glider is made out of composite materials using glass, carbon fiber and aramid fibers. These new materials and improved designs give modern gliders a higher lift-to-drag ratio and glide ratio, which results in longer and further cross-country flights of up to 10 hours and more, reaching hundreds to even thousands of kilometers on a single flight, relying on nothing but rising air currents to stay in the air and climb. The lift-to-drag (L/D) ratio determines the aerodynamical performance of a glider or airplane in general. We will spare you from the mathematical formulas and calculations, but simply put, the lift-to-drag ratio also determines the glide ratio, which is what glider pilots are interested in. Modern gliders can have a glide ratio of up to 60:1, which means with 1 kilometer of altitude above the ground, they can reach 60 kilometers in distance, in calm air with no rising or descending air currents. Gliders can be divided into two big categories, single-seater and double-seater gliders. When you learn to fly, you will be flying a double-seater glider from the front seat, with the instructor sitting behind you, having dual-controls so he can fly the airplane from the back seat. Lastly, it’s important to look at the ways gliders can get in the air. In the early days, gliders were launched by pushing them off a hill, using elastics for a so-called gummy launch, or by launching the glider in the air using a vehicle. Nowadays, we know 2 popular launch methods: the winch launch and the aero tow. With the winch launch, glider pilots use a big engine mounted on a chassis or truck on the ground, the winch, with long cables that wind up rapidly to launch the glider in the air. This is by far the fastest and cheapest way. Another common way is to use another airplane, the tow plane, with a cable attached to it to tow the glider up to a certain altitude, at which the glider releases its hook and begins its silent adventure. Some gliders are also fitted with a small engine, which they can deploy for short-term powered flight. This engine can be piston-powered or electric, or can even be a small jet engine. So-called motor gliders are equipped with a more powerful engine that can provide enough thrust to take-off. We already touched on the way gliders can stay in the air. We mentioned something about rising air currents and taking advantage of it to maintain altitude and even climb. Since gliders are heavier-than-air aircraft, they need lift to stay in the air. Without going too deep into aerodynamics, let’s just say a glider is constantly descending on its own and therefore the glider pilot should rely on his skills to get up and stay up. Glider pilots constantly search for warm rising air currents, so-called thermals. You can visualize this as big bubbles of hot air, rising in a cylinder shaped form, starting from the ground all the way up to the cloud base or ever higher in rare circumstances. By circling in those thermals, gliders can climb and stay in the air for hours. Flying from thermal to thermal and optimizing speed, distance and altitude between them forms the basis for cross-country flying and covering distances of a few hundred to a thousand and more kilometers. We will dive into cross-country and mountain flying later in this guide. In gliding, there are a quite a lot of different manufacturers and sailplane types. We’ll list the most popular ones used all over the world. One of the most widely used gliders is the German-build ASK-13 double-seater. It’s an older model, made of wood, fabric and metal, but also an extremely reliable one. Many flying clubs use these dual-control sailplanes to give instruction and teach student pilots to fly. Another common type is the ASK-21, a more modern version of the ASK-13, build by the same manufacturer. High-performance modern gliders are the double-seaters DG-1000, Arcus, Nimbus 4D, Duo Discus, etc. Top single-seaters include the Ventus, JS1, Discus, Nimbus, ASG29 or ASW28. Wherever you are in the world, these planes can be found anywhere. The requirements for Getting into gliding are less strict than for powered forms of flying. Both legal and medical requirements, as well as the requirements in terms of money, are favorable, especially for younger people. This makes gliding a very affordable and accessible way to start a flying career in aviation. We will focus here on what’s required legally and medically. The cost of flight training and flying will be covered later. Please keep in mind these are just guidelines and general information on the legal requirements for the glider pilot’s licenses. Do not base any decisions or assumptions on this information only, always consult with your local flight school, flying club or aviation authorities to confirm what is legally required to fly and get your license. In analyzing the legal and medical requirements, we will discuss legislation in the US by the FAA, and in the EU by EASA. For information about the requirements in Australia, please consult the Australian Civil Aviation Safety Authority (CASA) website. Just like flying any other aircraft, acting as pilot in command of a glider requires a pilot license. In the US, gliders are considered Light Sport Airplanes (LSA) and therefore glider pilots need a Sport Pilot license (SPL) with a rating for gliders. Pilots flying gliders in the European Union under EASA legislation are required to have a Sailplane Pilot License SPL or a Light Aircraft Pilot License Sailplane LAPL(S). The abbreviation for the EASA Sailplane Pilot License, SPL, should not be confused with the FAA Sport Pilot License, SPL. If you already hold a pilot’s license for another type of aircraft (except balloons) you can receive credits for your flight time. 10% of your total flight time as PIC, with a maximum of 7 hours, can be deducted of the minimal required flight time. If you later decide you also want to fly touring motor gliders (TMG), you will need an extra endorsement on your license. The requirements for this can be found here. An LAPL(S) does not allow you to act as PIC in any commercial operations. The last privilege of an SPL is that it’s valid worldwide as an actual glider pilot license, while the LAPL(S) is only valid in the EU-EASA member states. So, if the SPL offers more privileges than the LAPL(S) and they both have the same requirements, why would I not choose an SPL over the LAPL(S)? Well, the medical requirements for both licenses might influence your decision. If you are a student pilot or FAA certified pilot seeking to fly an LSA, you will need either a FAA medical or a US Driver’s License. As mentioned above, the requirements for the EASA SPL and LAPL(S) are similar. The biggest factor which will help you decide for which license to apply is the medical requirements. To act as PIC with your SPL, you will need an EASA class 2 medical certificate. If you hold an LAPL(S), you are required to have an LAPL medical certificate, which demands less strict requirements. If you’re under the age of 40, the conditions for the class 2 or LAPL medical certificate are the same. You will need to visit an aeromedical examiner every 60 months (5 years). Between the ages of 40 and 50, you need to renew your medical certificate every 24 months. If you’re older than 50, you will need to visit the doctor every year. The latter is also the major benefit for holders of an LAPL(S) that are older than 50. The requirements for people under 40, and between 40 and 50 remain the same, but pilots above the age of 50 need to renew their certificate only every 24 months, instead of every 12 months for the class 2 medical you need when you hold an SPL. So, if you’re younger than 50, the differences between the SPL and LAPL(S) are minor. Most people under that age decide to apply for an SPL since it offers more options for the future and the training is the same. If you’re older than 50, the LAPL(S) might be a good alternative if you don’t want to visit an aeromedical examiner every year. Ok, you decided you want to give gliding a shot. But where should you go? Wherever you are in the world, you will always find a nearby airfield with a gliding club. Whether you’re in California, Belgium, Australia or South Africa, I bet there’s a local airfield where you can go gliding. The length of your glider flight training depends on a number of factors. First of all, there is your age. It’s widely known and accepted that young people learn the fastest. The younger you are to start your flight training, the quicker you learn and make progress in your training. Young people usually take half the time before their first solo flight than older people. But don’t let that discourage you to start gliding at an older age. There have been people who started at 50, 60 and older and still got their license. You will just need a little more patience, but you will certainly get there, as long as you’re medically fit to fly. Other factors that have an impact on how long your training takes are your physical coordination, confidence, any previous flying experience you have (even just with a flight simulator) and the used launch method. Also, the time between your flights largely impacts the duration of your flight training. Many flying clubs offer packages to do flying camps, where you fly every day for 1 or 2 weeks. This allows you to quickly make progress in your training by flying every day and with the same instructor. It’s very well possible that in those 2 weeks you will already be making your first solo flights. If you can not do any camps, don’t worry. Just make sure there is not too much time between two flights, although you do not always have a choice since gliding is hugely depended on the weather. On average, student pilots need between 30 and 60 flights to go solo. Younger people are more likely to be at the bottom of that range, while older students are more likely to take 50, 60 or more flights to solo. If you fly consistently a few times a week, it will take a few months to make your first solo flight and 1 to 2 years to get your license. Again, this all depends on how often you fly, any previous experience, the weather, if you do any camps etc. Whatever you do, never let anything discourage you during your training. As long as you don’t stand still and stop flying, you will get there. The cost of something always plays a role in making the go/no-go decision, especially in aviation, where everything usually and painfully costs a lot of money. We’ve said it a few times already, gliding is one of the most affordable ways to fly. With an average winch launch costing between €5 and €15 and an average aero tow to 500m AGL costing €20 to €30 (can be higher depending on local oil prices and tow altitude), gliding doesn’t have to break the bank or ruin your financial situation. Most flying clubs also charge rent for the gliders, which can be calculated per flown minute, per hour, per number of flights, etc. The total cost of your flight training is difficult to determine and depends on the duration of your training and the number of flights you need. Additional costs can include memberships and instructor costs. Realistically you are looking at €2,000 - €3,000 in the EU, and $3,500 and more in the US. Again, it’s hard to determine, so do not focus too much on these numbers. Experience shows that the cost of gliding is certainly bearable since it’s usually spread over a longer period of time. During your training, you will be flying double-seater gliders that you rent from the flight school of flying club. After your training, you can choose to keep renting gliders or you can buy your own glider or a stake in someone else's. Just like cars, the price of gliders varies greatly depending on a number of factors like age, performance, optional engine, and more. Modern gliders can cost anywhere between €15,000 and €60,000 or more. If you want a glider with a deployable engine, you’re looking at costs that are a lot higher, with some brand new gliders that can take-off on their own costing €250,000 and more. There are also a number of other costs involved in owning a glider, like hangarage, insurance, the trailer, annual inspections, and so on. But don’t worry too much about owning your own glider until you finish your flight training. Once you’ve finished your flight training, took some friends and family flying and took advantage of the perks of having your own pilot’s license, you might want to search for some new challenges and go on your next adventure.The following are a few great options to advance your career as a glider pilot. Cross-country flying is probably the first thing you will learn once you have flown some hours with your license and have gotten some experience. Cross-country flying is flying over longer distances, using thermals to go from point to point and travel for hundreds of kilometers on a single flight. It requires knowledge of the terrain, your machine, the instruments, the weather and navigation, in order to safely do cross-country flights. Coming home after a 300-kilometer flight can be a rewarding experience, and the taste of a cold beer a welcome feeling after 4 hours or more in the air. Mountain flying is one of the most extreme, spectacular and beautiful forms of gliding. Taking advantage of air currents and winds along the sides and over the tops of mountains, pilots can reach incredible altitudes or race just a few meters from the mountain peaks and sides. Flying close to snow-covered mountains is not for the faint of heart. It requires a much higher level of experience, training, confidence and awareness of the risks involved, but it does provide you with some of the most amazing moments you can experience and sights you can witness. Just like normal airplanes, certain gliders are certified to do some heavy aerobatics. Almost any glider is allowed to do basic aerobatic figures such as loops, stalls and spins, but a certain number of gliders can be used to perform stunning aerobatic sequences. Getting your aerobatics rating for gliders can be a very cool option for those looking for a bit more adrenaline and who prefer looking at the world from a different perspective (upside down). Since gliding is considered a real sport, a number of national and international competitions are organized each year. Those competitions usually involve tens to hundreds of different gliders and pilots, who compete for the longest, fastest or furthest flights. Participating in competitions requires a significant experience with cross-country flying to compete with other top pilots. If you love teaching and helping the next generation of glider pilots, becoming a glider flight instructor can be a great path to go. Teaching people to fly is very rewarding. Seeing your students make their first solo flights is the icing on the cake and shows you did a great job. Becoming a glider flight instructor as a career is less common. Especially in Europe, it will be hard to find anyone who made a career out of it. Most people give flight instruction on gliders voluntarily, without charging anything. This helps keep the cost of learning to fly down and keep gliding affordable. Can you fly gliders the whole year? Glider pilots are most active in the gliding season. Depending on where you are in the world, this is usually the period between spring and the end of summer. That’s the period in which the meteorological conditions are the best and thermals the strongest. How fast can your plane climb in thermals? In Europe, thermals are usually measured in meters per second (m/s). Depending on the thermic environment you fly in, thermals can be from a few meters per second to even 7 to 10 m/s in strong thermic environments like Africa and Australia. What do you do when you can’t find any thermals to climb? This is an important factor in gliding. Since (most) gliders don’t have an engine, they rely on thermals to sustain their flight. When you are flying cross-country, and you are too low to reach any nearby airfield, then you will have to make the decision to perform an outlanding. You then decide on a good landing area, like a field or meadow, to put your plane down in a safe way. In deciding where to land, factors like the soil, accessibility and power lines in the vicinity play a role. I am very tall, can I fit in a glider? People over 1.90m (6ft 3) might experience trouble getting in a glider. Most gliders are made for people shorter than 1.90 m- 1.95 m. The only way you will find out is to find a local flying club and go for an introductory flight! Are there any age limits to fly a glider? As pointed out above, everyone can start gliding, at any age, as long as you meet the medical requirements to fly. As with any form of flying, there’s is always a certain risk involved. Gliding is and will remain one of the safest forms of flying, but one should aware of the risks and always keep in mind you are flying a real airplane. Statistics indicate you are a lot more likely to have an accident while on your way to the airfield, then the risk of something happening while flying a glider. Mountain flying and competitions also have a higher level of risk, due to flying closer to other gliders, mountains and other obstacles. As you can see, gliding is one of the most affordable and accessible ways of flying, especially for young people. If you aspire a career in aviation, there’s also no better way to start than by becoming a glider pilot. The famous Captain Chesley “Sully” Sullenberger was a glider pilot himself and used his experience and knowledge of flying without engines when his Airbus A320 lost both engines over New York and had to ditch on the Hudson River in January 2009. Whether you want to fly for fun, take your family and friends soaring above the clouds, or you want to fly international competitions and maybe pursue a flying career in aviation, there’s no better option for you than to get your glider pilot’s license. If you have any questions about flying gliders or this guide, please feel free to comment below! 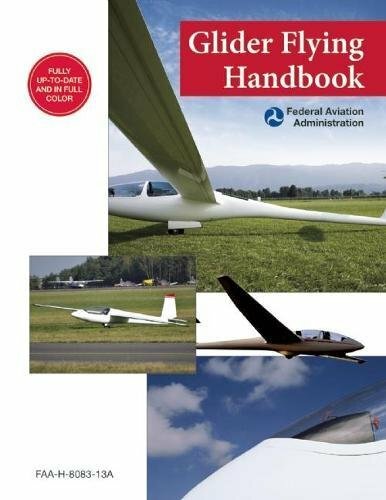 Additional and more detailed information about gliding can be found in the FAA’s extensive Glider Flying Handbook. 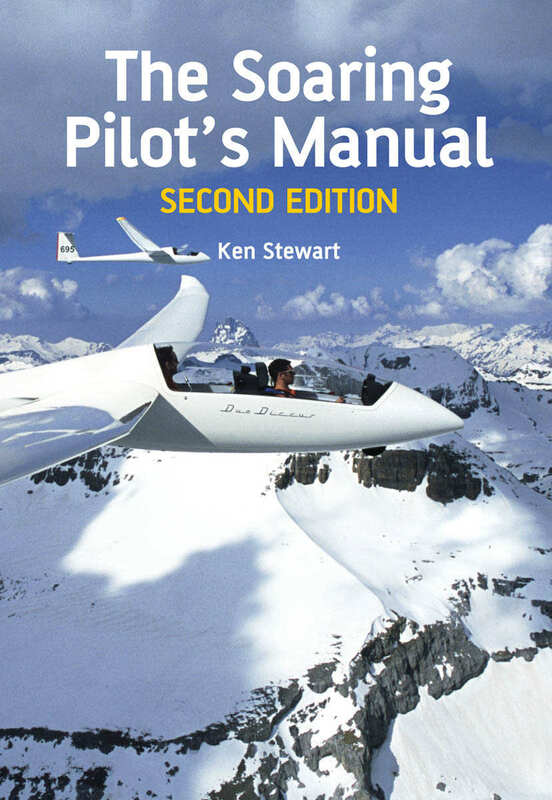 If you want to learn more about gliding and becoming a skilled glider pilot, here's some interesting reading we can recommend. Last update on February 2, 2017 by Senne Vandenputte.